If you looked in my cart at the grocery store, you might be mistaken in thinking that our family REALLY loves Italian food. 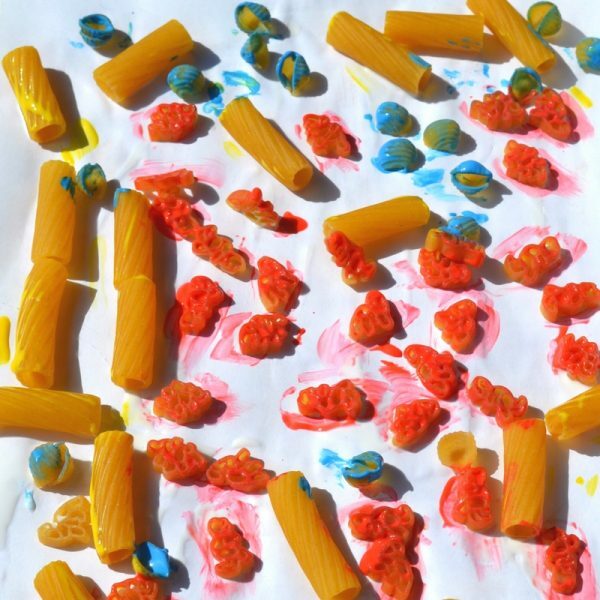 In fact, what we really love is using pasta for crafts. It”™s such a cheap and versatile product and you will generally find a bag or two stored with all of our craft supplies. In fact, if you take a sneak peek in most preschool classes, I”™m sure you”™ll find lots of it there, too! 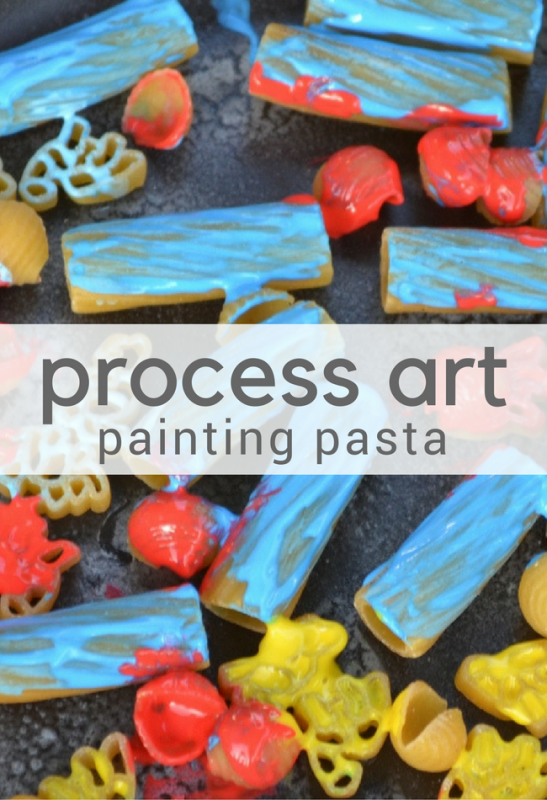 It helps that it comes in so many different shapes and is perfect for process art projects. 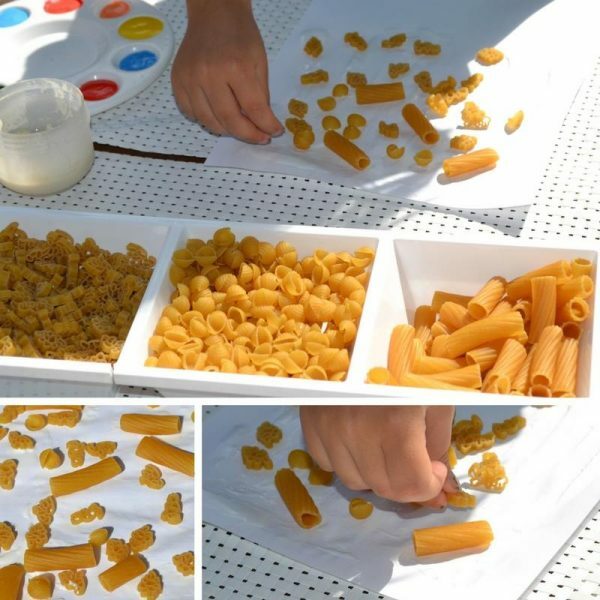 Today, we are using the pasta for some process art and are going to glue and paint it. 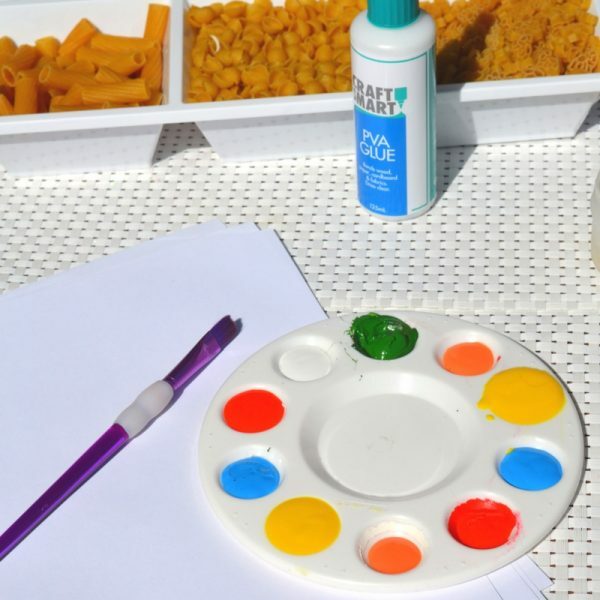 This is a very simple activity to plan and set up, and it”™s one that the children really love. 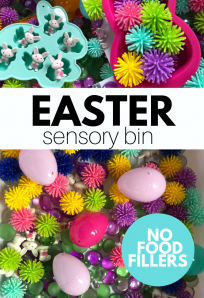 This activity was completed with 3 and 4-year-olds, but it really works for any age group. The older the children, the more involved their picture will be. With the younger age group, the gluing is a lot more random! 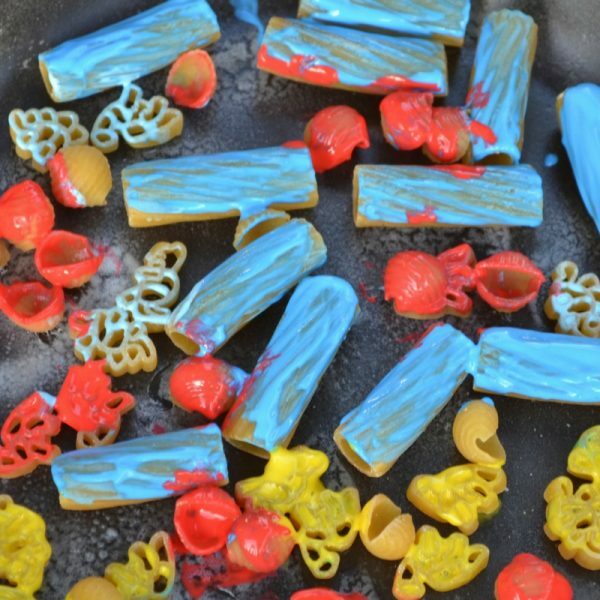 This is definitely a process over product type of craft activity, but it”™s a process art activity that toddlers and pre-schoolers will really enjoy, and can do independently (with supervision of course!). 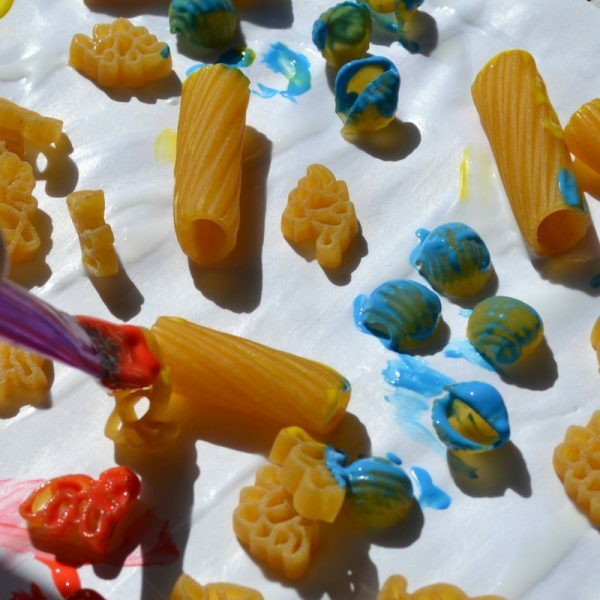 We kept the pasta and paints out for a few days and it was an activity that the children came back to over and over again. Next Post: Christmas Thematic Unit for Preschool – FREE download! Previous Post: Learn & Share Instagram Photo Challenge – Starts November 1st! These activities will be incorporated in my class activities. I like to revamp different types of activities to boosts concepts being taught.